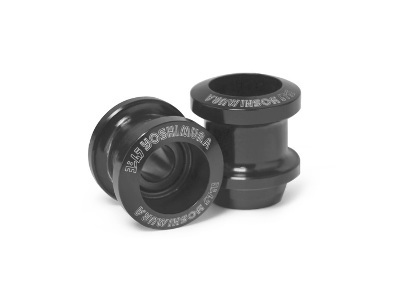 Yoshimura is known worldwide for our attention to detail. Our 6mm Works Edition stand stoppers are a product that not only looks like a work of art* is functional too. These spools are designed to spin when engaging with the stand and make it easier to get the bike up on a stand. Made in the USA from 6061 T-6 billet of aluminum* then undergoes a special recipe of anodizing. This special process creates a diamond like surface treatment* that unlike regular anodizing* stands up to UV* and light surface scratches. Works Edition only from Yoshimura!